A soldier / first responder tells his buddy that he is not sleeping and that he is just fed up with things. The friend suggests he may be depressed and that he should come forward and talk to a professional. At first glance, a reasonable suggestion but missing from these cryptic interactions are the contexts. The soldier does not bother to mention that he is not sleeping because he was promised a low tempo posting by his supervisor for agreeing to take on a tough tasking that nobody wanted. His supervisor has reneged on the promise and instead has told him that he is needed for an upcoming deployment and if he refuses he can say good-bye to his career. The soldier’s marriage is already rocky because he has not really been home for the past several years and he does not know what to do. Career or marriage? These types of scenarios are not unusual. What is new is that any mention of upset/distress in work settings of the 21st century is the rush to medicalize members' problems as part of institutional risk management. Anyone displaying unusual behaviour is a potential liability for organizations. This focus on individual mental health can be helpful to people for sure but we have also come to the realization that many of the ‘evidence-based treatments’ and workplace interventions like mental health first aid, and adoptions of the military’s road to mental readiness (R2MR) initiatives are not producing the expected outcomes of reduced workplace mental health problems (See Carleton et al., 2018). I believe that something fundamental is missing. What is missing is context. According to the Standing Committee on Veterans Affairs (SCOVA, 2018), 28 percent, nearly one-third of military members, are released annually because of physical and mental health problems. We could attribute these rates to reduced stigma, better detection, and better care for soldiers and maybe even due to leftovers from the Afghanistan War. But, we also must wonder about this seeming upsurge in the numbers of injured men and women. What else has changed? For starters, beginning in the 1990s most of organizations and public workplaces went through massive downsizing – doing more with less – because of budgetary constraints. Since that time there has been a continual scrutiny for savings and trimming needless fat. This focus on financial bottom lines has impacted personnel and human resource management fronts. In many places, among other demands, this has also meant personnel shortages requiring members to take on multiple roles, time pressures, reduced time away from work settings, and 24-hour access through telephones and social media. Members are required to over-invest to ever-demanding work settings. A recent investigation of Canadian public safety workplaces showed that a staggering 45 percent of members reported mental health difficulties (See Carleton et al., 2017). Surprisingly, the many public reports of supervisory abuses, sexualized and harassing workplaces, and unreasonable demands are somehow forgotten in efforts to understand worker distress. Instead, there is a predictable call for better resiliency training to address these problems. In our study of resiliency among veteran families (Submitted for publication), we found that resiliency is not an individual quality like hardiness or ‘digging deep’ but a range of problem-solving responses dependent on tangible direct support from the institution and from broader social contexts. Strikingly, none of our current explanations or interventions into workplace mental health acknowledges or addresses institutional causes of mental distress among members. We are left with the unspoken presumption that our current workforce is somehow lacking in self-management skills or fortitude to meet job demands. We have forgotten the wealth of research from the 1970s to 1990s on occupational burnout (See Maslach). We may have created pressure cooker workplaces and have ended up blaming people for not being able to maintain unreasonable expectations. If we are intent on creating healthier workplaces, then we must get serious about tackling institutional policies and practices and enshrine employee protections for speaking out about things like supervisory and institutional practices and inconsistencies. ​Those who follow veterans’ issues are aware of two overlapping explanations for difficult military-to-civilian transitions (MCT). The first is the well-advertised problem of chronic PTSD and other operational stress injuries (e.g., depression and anxiety problems) believed to affect up to one-third of those who leave the military. As others have argued, institutionalized military psychiatry defines veteran concerns as problems to be solved through medicalization (Shields et al., 2017; Howell, 2011; Caplan, 2011). This is reflected in broader research and public discourse on veterans, where the difficulties of transition have been primarily framed as health issues, and especially as mental health issues. Such a framing is problematic because it tends to not only medicalize, but also individualize and thus de-politicize the impacts of military service and military deployments. Medicalization emphasizes individual and technical solutions (i.e. all that is required are better treatments or programs) which admittedly can be helpful for many people. However, medicalized language does not acknowledge the purpose of militaries—war and training for war (military conditioning)— is largely absent from public discourse and policy on veterans’ transitions (Eichler & Bulmer, 2016). When it comes to PTSD as a global explanation for veteran issues, there are a number of things which remain unanswered. Since its inception, observed symptoms were believed to reflect an underlying disease process. Thousands of studies conducted over nearly 40 years have attempted to identify brain anomalies to explain the wide range of seemingly unconnected mental struggles among soldiers and veterans. This ongoing research has been promising at points and contradictory and confounding at other times. But, missing from efforts to understand military trauma is context. By context, I mean mental conditioning within a value system that is necessarily rigid, perfectionistic, and demanding. A second explanation has emerged focusing on the impacts of moral injuries arising from warzones. While the first (i.e., PTSD and OSIs) are deemed to be medical diagnoses, moral injury is considered to be a problem of compromised belief and value systems. Moral injuries are defined as reactions to perpetrating, failing to prevent, bearing witness to, or learning about acts that transgress deeply held moral beliefs and expectations (Maguen & Litz, 2012). It was the subject of Jonathon Shay’s acclaimed book – Ulysses in America - focusing primarily on combat and the heat of battle which arguably are where the highest stakes are in play and where the potential to participate in or fail to stop terrible things from happening are ever-present. As noted by Nash et al. (2013), “Shay’s conception of morally injured veterans as victims of others’ wrongdoing mirrors views found elsewhere in the mental health and ethics literature regarding the central role in trauma of breaches in social moral contracts and damage to belief systems”. Our work with veterans certainly mirrors this observation. Namely, nearly every case of military PTSD is maintained by an unresolved moral dilemma; usually centering around betrayal across a broad range of operational contexts. In fact, Mobbs and Bonanno (2018) contend that moral injuries and transitional strain (e.g., loss of military identity) are the main sources of mental distress facing military veterans, not PTSD. Soldiers don’t just espouse high moral codes – they live them, they embody them whether at home or deployed. They have to in order for these codes to become second-nature. The soldier who is tasked with protecting a convoy but refused the necessary equipment to do the job because of budgets and another who is sexually assaulted by a superior share a common reaction of betrayal. Don’t these qualify as assaults on moral codes? I think so. These types of events challenge the currently restricted notion of moral injury (as arising from warzones). In fact, the number one complaint among veterans medically released because of OSIs is a sense of betrayal by their chain of command and being thrown away by the system. Lingering reactions of helplessness, outrage, and shame certainly contribute to post-service mental health problems. Moral injury is not restricted to warzones. My point is that if soldiers are to be conditioned in high-minded moral codes, then breaching them in any context – in warzones or on home bases - can produce the same types and severity of psychological distress. I believe our current understanding of moral injury leaves out an important breeding ground for betrayal – the promise of specialness. Embodied adaptations that make up military conditioning are accompanied by lessons in military superiority. Military conditioning is fostered within environments that hinge on pride and specialness—which soldiers must prove continually—that distinguish them from everyday people and from the people they were upon joining. Soldiers are trained to believe that they are valued members of a special group set apart from the broader society – the guardians and the protectors. This categorization of soldiers requires them to reject civilian values and their own civilian pre-service identities. This distinction between soldiers and their civilian counterparts cements a status of the military over civilian society (Whelan, 2017). To be relegated back to the status of being a ‘mere civvie’ often results in a lingering separation between veterans and their families and communities. ​We need to move beyond platitudes and stop telling soldiers they are special if we don’t mean it! "The mental building blocks for an operational mental injury may be set in motion long before critical events ever happen. These ingredients can be rooted in early development and amplified through military conditioning but they are also present among those soldiers who come from stable, nurturing families. Essentially, most soldiers develop adaptations (i.e., emotional suppression, compartmentalization, and a detached persona) to help them succeed in training and to do their jobs. Unfortunately, these same adaptations that served them wonderfully in carrying out their military duties can interfere with the normal processing of routine and unusual events. Furthermore, the same embodied adaptations and the over-investment in military specialness seems to underpin the problem of maladjustment to civilian life. We need to move beyond our clichés if we are to understand post-service maladjustment." reality of civilian life and the loss of prior identity begin to set in. This can last for years as ongoing sources of stress and disorientation. Major disruptions in relationships because of loss of purpose and identity are all too common. One’s prior rank, operational roles, black-white codes and military discipline can become obstacles and the usual ways of connecting with other people disappears. Risks of social withdrawal, anxiety and depression, drinking or drug use, and preoccupation with the meaning of one’s life and service can increase dramatically. Many of the activities and personal qualities that veterans put aside to serve can contribute to a profound disorientation, loss of confidence, and mistrust of the broader society. “… one-quarter [of all Canadian veterans] rate their adjustment as difficult. VAC clients ​more often reported a difficult adjustment to civilian life” (Thompson et al., 2011). ​The 2-year period following release is a major transitional strain for military personnel (Castro, 2017). Out the Gate – What Now ? Un-training the Warrior Mindset (Finding the OFF switch). Who was I - Who am I? Turning in one's kit and ID card happens in the blink of an eye but making the mental shift to a new identity often takes much longer. I write this post on the heels of a recent tragedy in my home province and once again PTSD and military veterans have captured media attention. There is a renewed focus on bureaucratic gaps and available treatment programs; questions about the true nature of military trauma gets lost in the PTSD cliché. Traumatic stress has faced us as a species since our beginnings - death from predators of all types, starvation, or natural calamities - forcing us to band together. We learned to interact and huddle together in small groups to survive and to thrive as a species. We became social beings out of necessity. Sebastian Junger (Tribe) does a very good job of outlining this basic need for social bonding and connection among military veterans. Veterans miss the intensity of intimate connections that are provided through the experiences of shared adversity. My own experiences and work have taught me that this is the closest that many veterans will ever feel to other humans; more than their parents, siblings, and even their wives and children. Being around other rough and ready men and women means that they don’t have to be mushy about love and brotherhood because these are demonstrated through actions. In essence, there is no risk of vulnerability, especially emotional vulnerability. When veterans leave their sections, platoons, and units – their community of comrades in arms - they can face disconnection and invisibility and I believe that this is the real challenge facing veterans. 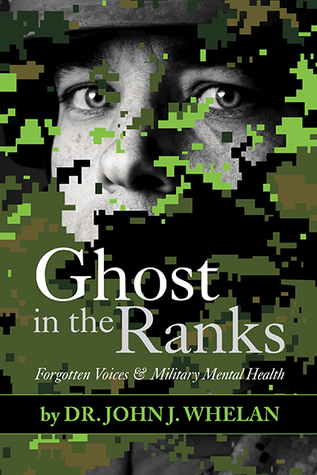 As James Wright - a US military veteran and historian – noted, military veterans are increasingly separated from and unrepresentative of the larger civilian population increasing the likelihood of invisibility. This reality often gets lost in cliché conversations about PTSD. In contrast to the mandates of military training, learning to lower one’s emotional guard may be exactly what is required to move beyond trauma and to reconnect. Average people who have not benefited from military training do this everyday and they recover and move on in their lives. Many of them have not had the same pressures or exposures to horrific things but many of them have their own ghosts to manage. If we are intent on discharging traumatized veterans back into the civilian world, we need to be honest about the benefits and the downsides of our socially segregated military and the warrior mentality. The truth is that we are all vulnerable, specialness is temporary, we all need other people, adrenaline mode is for the young, nobody is ‘ten feet tall and bulletproof’, and emotional connection to others is the basis of purpose and personal meaning. There are some things about military identity that need to be left behind before people turn in their ID cards. Most soldiers remember the Green Zone designation from the Iraq War. Compared to being outside the wire, it was a protected area where it was relatively safe to lower one's guard, rest and recoup, and mentally decompress for a time. Why is this analogy important when it comes to mental health? Despite all the efforts over the past 20 years to develop mental heath programs to deal with operational stressors in military and most first response organizations, many people still do not risk coming forward. From my perspective, the glaring answer to this problem is that it is still not safe. While we can pretend that members will not be judged, that formal mental health will always help, or that they will be able to resume their careers, we know that a tremendous amount of work is yet to be done to humanize many of these workplaces. Reputation is everything to most first responders, including military, police, fire, paramedics, and correctional officers so they remain stoically silent. But, we also know that social isolation is the breeding ground for routine stress and emotional distress to grow into unmanageable reactions. So how do we protect their 'psychological safety' (only jargon, I promise) as they try to mentally decompress without fears of being judged, misunderstood, or sent to the head shop on their way out of employment? People need to have safe places and safe people within their organizations and within their communities where they can begin to air out things spinning around in their heads or emotional reactions that they can't shake. This means considering designating particular places within units, shifts, or watches where lowering one's guard does not come with the risk of being 'outed' or tagged as crazy. Places and specific people where anything can be said or explored without requiring them to give up control. I recently attended a mental health day organized by paramedics - their level of openness and honesty with each other was inspiring to watch - In mind my they get it. First responders of all types have to start being honest with each other about the benefits and the true costs of doing the job. This is where it has to start because some people will never seek out formal mental health because of the risks of losing one's reputation or employment unless these organizations change fundamentally. And, the reality is that there are not enough qualified mental helpers to go around. In the meantime, I wonder about the usefulness of a term like 'Operation Green Zone' to think about an initiative aimed at creating practical ways and forums for first responders to connect honestly with each other. To create an environment of psychological safety despite any bureaucratic shortcomings or outdated workplace practices. This is not to say that all workpalces are inadequate or that supervisory practices are oppressive; they just have different priorities - getting the job done with an eye on liabilities and fiscal limitations. Designating areas, particular supervisors/co-workers, or groups as a green zone would be a great place to start; at least in my mind. I am quite interested in hearing feedback or thoughts about the usefulness of moving this type of initiative forward. It would not be a formal mental health 'program' and it would not rule out a role for formal mental health, if needed.